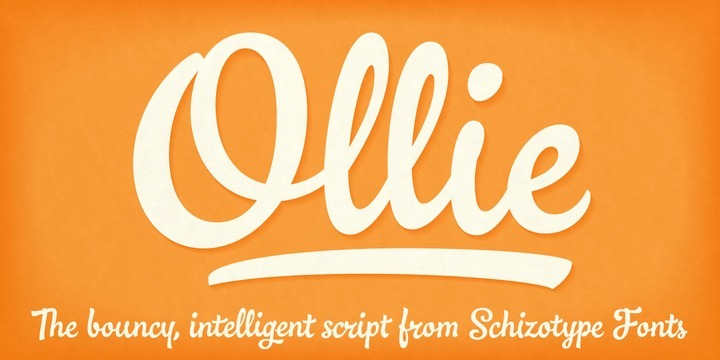 Ollie, the casual signage script is available with super friendly, bouncy exterior. The typeface ensures sophisticated OpenType programming. The font has been designed in a way to make the most out of popular OpenType savvy applications. The typeface is highly recommended and renowned for its professional design use. It is available with its unique calt feature controls that facilitate unique ‘special effects’ to ensure a smooth-flowing, hand-lettered look. The main special effects comprise of tart and end forms of a huge number of letters that are automatically substituted during the beginnings or ends of words.